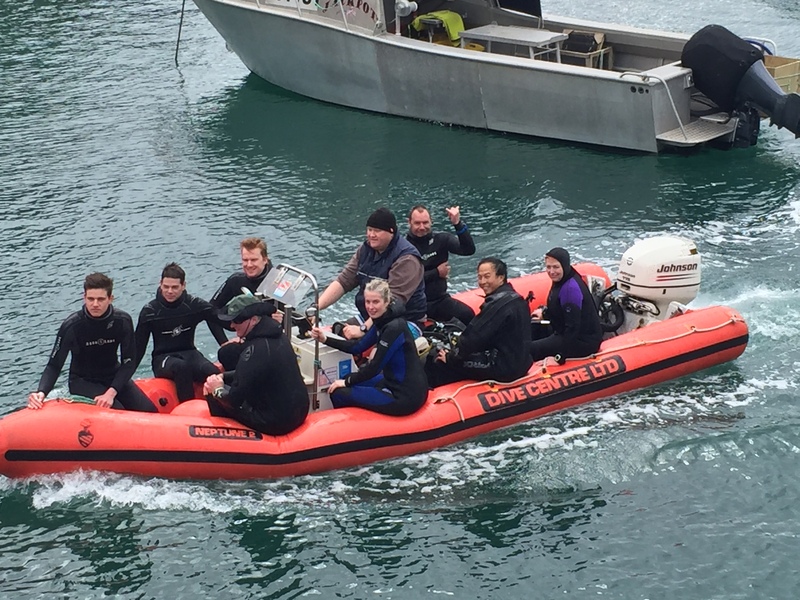 On 9th October, Richard and I ventured to Auckland for the weekend, to undertake our Master of Small Commercial Dive Boat course. 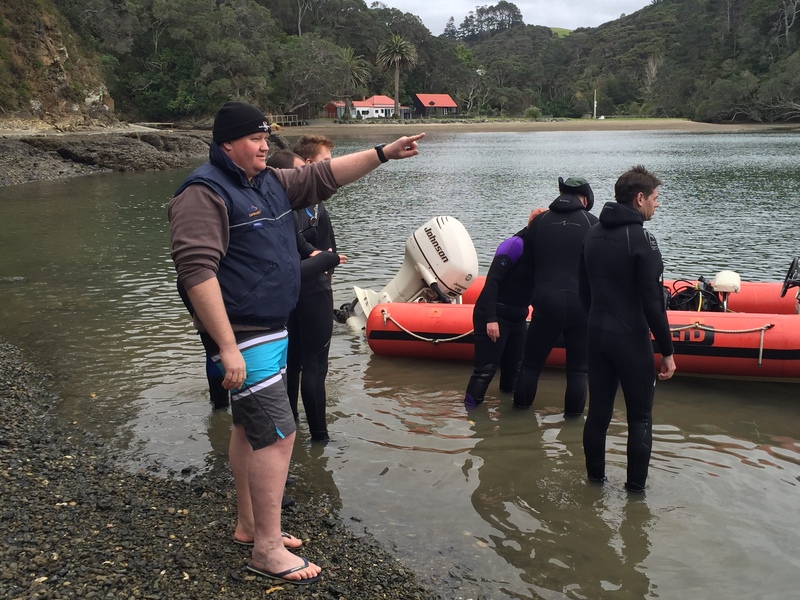 The course comprises of home theory, an exam covering the theory learnt, and two full days of practical application on the water. In the afternoon, we arrived at our venue where we briefly ran through what, how, where and when things were going to be conducted and then sat down to complete the written exam (the bit I was dreading most). A couple of hours later and we were both leaving knowing we had both been successful in passing the exam. Roll on the practical. The next morning we arose early and drove to Leigh for a 9am meet. 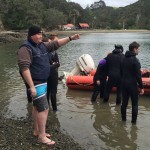 We were joining a group of Open Water students who were doing their first two dives that day. What they didn’t know was that Richard and myself would be skippering the boat. As it turned out, I was going to be the skipper on Saturday and Richard was going to skipper Sunday. So after giving the boat briefing, we left the mariner with yours truly at the helm. Our dive site was a full ten minute boat ride away. On arrival I dropped the anchor, and once I knew we weren’t going anywhere, turned off the engine and handed over to the Dive Instructor running the course. I must admit, the water looked very tempting (18 degrees and about 10 meters vis). It was 6 degrees in Lake Coleridge the week before!!!! Needless to say Richard went for a dip. Once all divers had finished their first dive and got back onboard, I pointed the vessel in the desired direction and headed back in to change tanks etc. On our way out the second time, with yours truly at the helm whilst admiring the scenery, I suddenly hear ‘Man Overboard’. Blimey!!! To my relief I realise it is just a buoy pretending to have fallen overboard. As per protocol, I asked the Open Water students on the boat to spot whilst I swung the boat around and reclaimed the floater!! A job well done even if I say so myself!! So off to our next dive site (which was a little closer this time). Everyone rolled off, went for their second OW dive and then once back on board, we slowly headed back in. What a great day at sea I had!! It was Richard’s turn the next day.